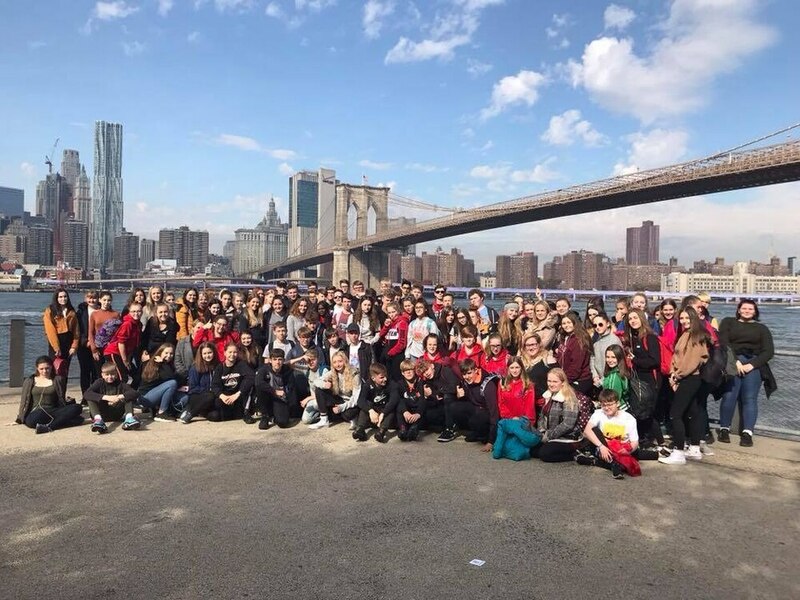 Students and staff from two Shropshire schools got a bite of the Big Apple, visiting New York over half term. The week-long trip for the Marches School in Oswestry and Sir John Talbot's in Whitchurch took in Times Square, the World Trade Centre memorial and Ellis Island. Students got a close-up look at some of their study topics, and also heard the testimony of a police officer from the 9/11 attacks. The trip was arranged through the Marches Academy Trust, which oversees both schools. Mrs. Alison Pearson, associate headteacher of the Marches School, commented: “The trip was a hugely beneficial educational trip for the students and it allowed them to gather first-hand knowledge for their studies. "We here at the Marches Academy Trust pride ourselves on giving the students the opportunity to attend trips in local, national and international locations, to allow all students the opportunity to attend." The school delegates also visited the Statue of Liberty and the Brooklyn Bridge. Mr. David O’Toole, headteacher of Sir John Talbot’s School, added: “This was a fantastic trip and it was wonderful to combine with the Marches School to take the students on a cross-trust trip. "It took the students out of their comfort zone and educated them in the history of one of the most recognisable places in the world."